FORT WAYNE, Ind. -- The TinCaps made history in a grand way at Parkview Field on Tuesday night. Fort Wayne hit three home runs in a 12-3 win over Bowling Green to set a new franchise record for homers in a season. A Nick Schulz grand slam in the sixth inning was the team's 98th of the year, breaking the previous mark of 97 set in 2009. It was his second longball of the game and one of his five hits. With that home run, Perez also tied the franchise record for most RBIs in a season. The 20-year-old has 91 RBIs, which leads the Midwest League and ties him with current San Diego Padres outfielder Will Venable, who drove in 91 runs for the Fort Wayne Wizards in 2006. Fort Wayne's lead ballooned to 4-0 by the end of the first and was 5-0 in the fifth when Schulz blasted his first homer of the night to the XFINITY Home Run Porch in left field. Later in the sixth it was 7-0 before he tagged his first career grand slam even deeper to left. Both of Schulz's home runs came off Bowling Green (28-35, 61-71) reliever D.J. Slaton. The two were college teammates at San Jose State from 2010 until 2013. Slaton was drafted by Tampa Bay last year in the 37th round, while Schulz went undrafted. But since the corner outfielder was signed by the Padres in May and debuted with the TinCaps on June 27, he has hit .335 with 8 HR and 28 RBI. In 19 games in August, the Mountainview, Calif., native is hitting .403 with 7 HR and 22 RBI. Schulz is the first TinCap to have a five-hit game since Yeison Asencio did on July 29, 2012. Eight of nine batters in the lineup in the Fort Wayne (28-36, 58-75) lineup had at least one hit. 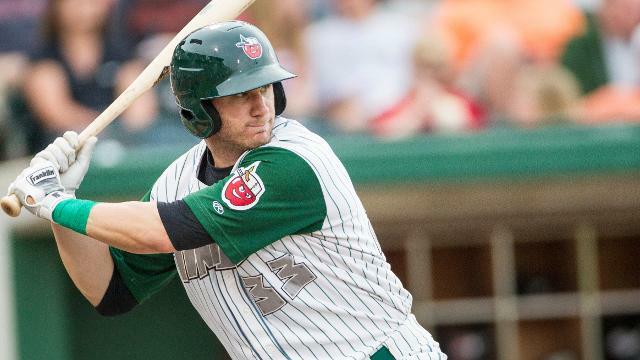 In all, the TinCaps had a season-high 19 hits. Not to be overlooked, starter Jeffery Enloe (5-6) threw six scoreless innings with only two hits and one walk allowed. The TinCaps trail Dayton by two games for the Eastern Division wild card with six regular season games remaining. Fort Wayne welcomes West Michigan for a three-game series starting Wednesday at 7:05 p.m. Ronald Herrera is slated to start for the TinCaps against Austin Kubitza. The game can be heard on ESPN Radio 1380, TinCaps.com, and the TuneIn Radio app. It can also be seen throughout Indiana on XFINITY Channel 81.